What are the best menu settings for Shooting Video? Can I shoot video in auto mode or is manual better? Is my existing SD Card good for shooting video? What are Picture Styles and which one should I use? How can I record better audio? What lens is best for shooting video? These are some of the common questions I have been asked about shooting video with the Canon 70D and I have designed this video based course to answer these questions and more. 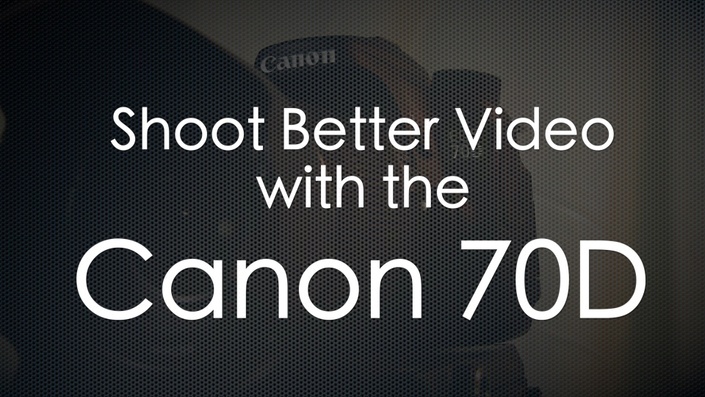 Gain the confidence and know-how to get out there and shoot better video with your Canon 70D. 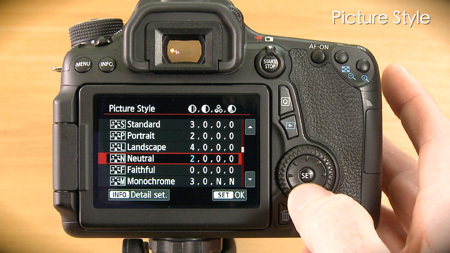 Shooting video with DSLR cameras such as the Canon 70D can be quite confusing at first. In my role as a professional freelance video cameraman I get to shoot with a large variety and style of cameras. When I first picked up a Canon DSLR to shoot video I have to admit to being a bit baffled as to even how to switch it into video mode or even focus the camera correctly! Benefit from my 20 years of professional experience...and mistakes! Courses such as this help you short cut the often quite steep learning curve. For instance did you know you just can't use any old SD card to shoot video? You get the benefits of my experience (and mistakes made) so you can concentrate on capturing whats happening in front of the camera. This course is aimed at people new to shooting video with their Canon 70D or perhaps more experienced users wanting to hone their skills. It details the menu set-ups you need, lenses, exposure, picture profiles, audio and much more with some common real life examples. Its a 10 chapter video course and contains 1 hour and 8 minutes of material (I was hoping to keep it under 1 hour so I could say “Learn in under 1 hour”, but its close). I’m not a fan of some online courses promising 4 or more hours of material because if you’re like me you will never get through the whole lot. What you will learn starts with the camera hardware and menu settings, I then move into using the auto and full manual controls, exposure, focus, audio and then some real world examples of putting it all into practice. My style is short and sharp and I only discuss the areas of the camera essential to shooting video. What this course isn’t? This course deals solely with shooting video with the Canon 70D, it does not go into shooting still pictures or post-production and video editing. My aim is to give you the essential information only for shooting video so that you can hit the ground running and get out there and start producing some great looking videos, family movies, youtube clips or perhaps your first short film. "Of all the money I have spent over the years on training, I have to say that “Shooting Video with the Canon 70D” is some of the best money I have ever spent! Grant’s solid straight forward and informal style of teaching was EXACTLY what I wanted and needed. Additionally, he has answered several questions for me via email and has been very quick with his replies. That alone has been worth the $39! Don’t hesitate… buy it!" This course is proving extremely valuable for me as a new owner of the Canon 70D camera. As a keynote speaker at conferences, video plays a vital role in promoting me, my brand and attracting more clients. Grant's course is enabling me to do this much more professionally and without the headaches of me having to guess what to do or hoping I don't screw up.Genuinely, Grant's course delivers so much value I am surprised that the purchase price isn't much higher. Hello I'm Grant and I live in the beautiful town of Queenstown, situated in the South Island of New Zealand with my wife and three children. I have been a professional freelance video cameraman for the last 20+ years and have been fortunate to have worked on a wide variety of projects. I cut my teeth shooting news for the two main broadcasters here in New Zealand. Since then I’ve been really lucky to have worked on a diverse range of projects from television reality shows, corporate videos to chasing Crocodile Rangers around the backwaters of Darwin for the National Geographic channel to shooting on a Bear Grylls reality show here in New Zealand. Big shows I’ve shot on include Castaway (BBC), Bear Grylls (NBC), The Biggest Loser (NBC), Road Rules (MTV), Behind the scenes shooting for feature films Lord of the Rings and The Legend of Zorro. So that’s all the glamour job name dropping I could think of, other jobs include weddings (in my very early days), shooting for-sale videos for Japanese Heli Skiers and a lot of snowboarding, skiing, motor-sport and most sports you can think of and corporate videos for many small local businesses from around my town.